While you can look forward to paying less in taxes in retirement, high-income earners should expect to pay so-called “stealth taxes” in the form of Social Security income taxes and higher Medicare premiums, according to an article in USA Today. The rate can jump to more than 46 percent after the reduced rates on individual incomes taxes expire at the end of 2025, unless Congress can pass a law making the tax cuts permanent. While payroll taxes will disappear once you stop working, you will face a number of new levies. “Combined income” — the sum of your adjusted gross income, nontaxable interest and half of your Social Security benefits — will then determine if you pay taxes on your benefits. 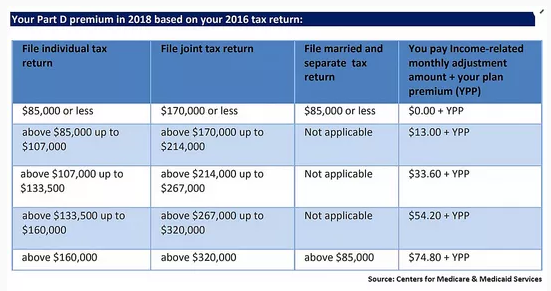 If you filed as single and your combined income is $25,000 to $34,000 (or $32,000 to $44,000 if you’re married and filing jointly), you can expect to pay income taxes on up to 50 percent of your benefits. For filers whose combined income runs over $34,000 if single or $44,000 for married and filing jointly, up to 85 percent of their Social Security benefits may be subject income taxes. High earners also can expect to pay more for Medicare Part B, which are doctor’s visits, and Medicare Part D, which are prescription drugs. Medicare Part B premiums for 2018 are $134 per month. Your modified adjusted gross income — total adjusted gross plus tax-exempt interest income — determines whether you pay more or not. “If your income rises one more dollar above the bracket, it could cause your premiums to rise,” Reichenstein said. So if your 2016 modified adjusted gross income exceeded $85,000 for a single filer or $170,000 for joint filers, you will pay higher premiums. You should seek the advice of a financial adviser to evaluate which money you should use first upon retirement. By spreading savings across taxable accounts, tax-deferred accounts like a traditional IRA, your 401(k), 403(b) or tax-free accounts like your Roth IRA, retirees can manage withdrawals and minimize the taxes paid.